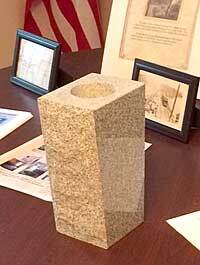 The granite urn is just for flowers and sits on the monument. We attach them to the monument if it is large enough. Some monuments are too small. The urns cannot be added to an existing monument. Check with your funeral home. * These prices are subject to annual adjustment. Always contact us for current rates. Certain donations to non-501(c)(3) organizations are deductible as charitable contributions. These include gifts to cemetery companies that are not otherwise given for the care of a particular lot or crypt (IRS Pub. 4221-NC). If you make a donation, you can designate it for general maintenance or current restoration projects on buildings. 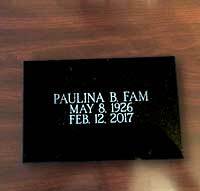 We use the black granite markers for marking graves. So many graves still do not have markers and it causes havoc for identification. 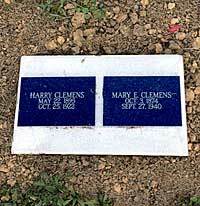 Do you have an unmarked grave in a family plot? ©2012-17 Woodlawn Cemetery Company, Inc.